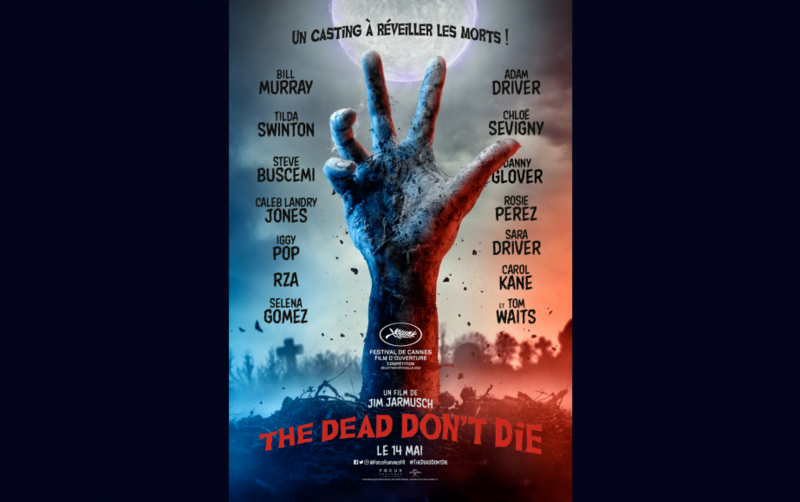 The 72nd Festival de Cannes will open with the Competition screening of Jim Jarmusch’s new film, The Dead Don’t Die. On Tuesday May 14th, on the screen of the Grand Théâtre Lumière, the film by the American director and screenwriter will be this year’s first Palme d’Or competition screening. The independent filmmaker’s newest foray into genre film (after the western with Dead Man, Samurai/crime film with Ghost Dog: The Way of the Samurai, and his vampire film, Only Lovers Left Alive) promises to be “the greatest zombies cast ever disassembled”: Bill Murray, Adam Driver, Tilda Swinton, Chloë Sevigny, Steve Buscemi, Danny Glover, Caleb Landry Jones, Rosie Perez, Iggy Pop, Selena Gomez, RZA, Sara Driver, Austin Butler, Luka Sabbat, Eszter Balint, Carol Kane and Tom Waits. The Dead Don’t Die also reunites Jarmusch with many of his frequent collaborators including Director of Photography Frederick Elmes (Night on Earth, Paterson, Broken Flowers) and Editor Affonso Gonçalves (Only Lovers Left Alive, Paterson). The Dead Don’t Die is Jim Jarmusch’s thirteenth feature film and stands as not just a humorous and sometimes scary subversion of the genre (with a nod to George Romero’s seminal film, Night of the Living Dead) but also a tribute to cinema itself.